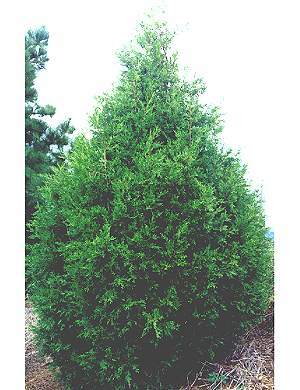 Outstanding, evergreen shrub with dense, upright branches clothed in sharply pointed, bright green needles. Depending on variety, works well as a ground cover, hedge, screen or windbreak. Requires little maintenance. Very tough plant. 'Keteleeri' grows 15 to 20 feet high, treelike with loose light-to-medium green foliage. Scale-like leaves and pointed cones. Common in midwestern landscapes.